Eileen Gilmartin, an Adjunct Professor in Stern’s Management Communications and Social Impact programs, is a communications coach and marketing strategist who advises a wide variety of clients whose goal is to build executive leadership teams and manage complex messages. She is a writer, editor and design communications specialist. 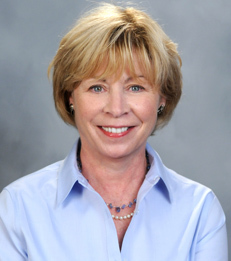 Prof. Gilmartin teaches undergraduate, MBA and executive education courses and seminars. She is a member of Stern Management Communication faculty who specializes in conducting Executive Education workshops that focus on developing leadership presence and innovative thinking skills. She is a team coach for Stern’s highly regarded Berkley Competition Program for young entrepreneurs. Prior to NYU/Stern, Prof. Gilmartin was a tenured Associate Professor and Chair of the Department of Media and Communications Arts at the City College of New York. She was also Dean of adjunct faculty at the Culinary Institute of America where she taught courses and honed her chef-wanna-be skills. Prior to teaching, she was a creative director and senior copywriter in advertising and marketing firms with national and global accounts.